We all wish we had more time to do the things we love, like sewing, right? 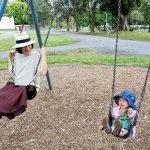 Since becoming a mother, I seem to have less and less time for myself. But a sewing blog can’t go on if I don’t get any sewing done, so lately, I’ve been trying different ways to fit sewing into my busy day. 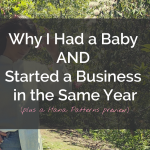 To put things into context, my “job” currently consists of being a marketing consultant, a blogger, as well as mama to a 7 months old baby. I have a nanny one day per week to look after Umi, so I can focus on my consulting work for clients. The following little tricks are things I do to make time for sewing on weekdays when I don’t have a nanny. I like to keep all my sewing essentials inside the desk I use to do my sewing. My little toolbox includes a thread clipper, pins & pin cushion, a ruler, the sewing machine manual and a small plastic bag. When I sew, I place the bag next to the sewing machine and throw in all the loose thread so it doesn’t end up on the carpet. Having these key items on hand lets me start sewing quickly. All my other sewing gadgets are stored in a box next to my desk. I can get to them if I need, but I find that I can often do a session of sewing using just the items in my desk. Oh, I decided to include my drawings in the blog post today – they are just quick scribbles but I hope you like them! This tip is for the mamas out there. I try to do all my housework when Umi is awake. This means I can use her naptime to sew. For example, I fold the laundry on the floor with Umi. I talk to her about an item I’m folding (e.g. “here’s papa’s blue socks”); she loves looking at all the clothes and feeling the different textures. Just place your folded laundry out of baby’s reach, otherwise you’ll be constantly re-folding them! When I do the dishes, Umi plays on her playmat where I can keep an eye on her. I think involving your baby is key to successfully combining chores and playtime. I saw in a Japanese parenting magazine once, how a mother gave a scrubbing brush to her toddler so that they can have fun scrubbing the bathroom tiles together. Sure, it takes a lot longer to complete each chore, but you can make it really fun for your baby. Sometimes, you have just 5-10 minutes of free time. Maybe you got the baby ready to go out extra early, or you’re waiting for something to finish cooking in the oven. I use these “micro” bits of spare time to set up my sewing space. You can accomplish small tasks, like setting up your ironing board, or winding a bobbin. Using time wisely to set up means that when you do get a longer chunk of time, you can sit down and get straight into sewing. Online fabric shops are my best friend. I find shopping in physical stores stressful, especially when I have Umi with me. Carrying multiple bolts of fabric whilst pushing a pram is pretty much impossible. That’s why I’ve turned to online shopping to stock up on fabric. 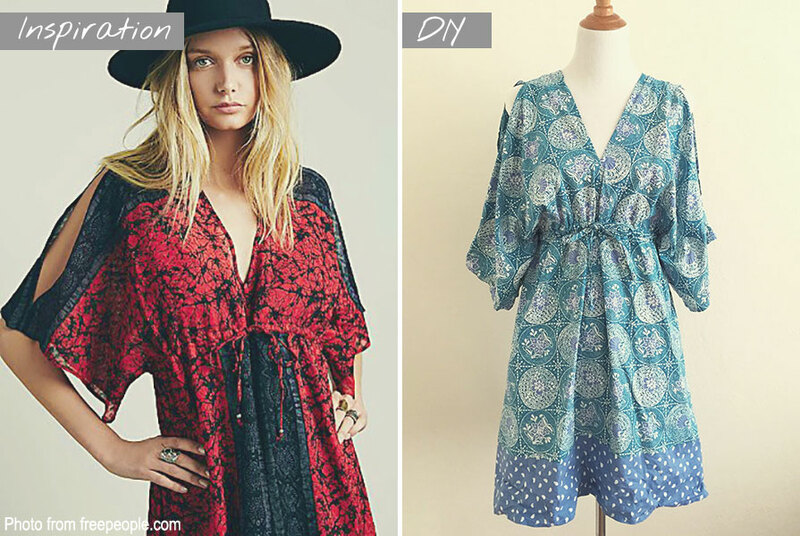 The trick is to plan ahead and order fabric in bulk, that way you can save on shipping. It also means you don’t waste time having to shop again few weeks later. 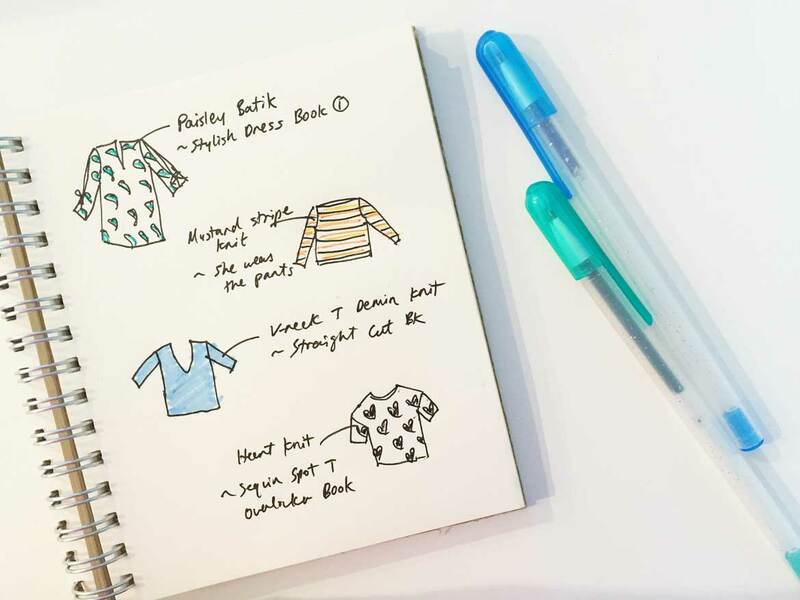 Sewing project planning is lots of fun, and it can just be as simple as jotting down the sewing pattern and what fabric you plan to use. I like to draw little pictures of the items I plan to make in my planner. 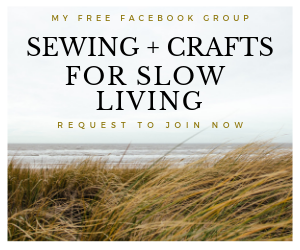 Do you have multiple sewing projects going on at the same time? I certainly do! 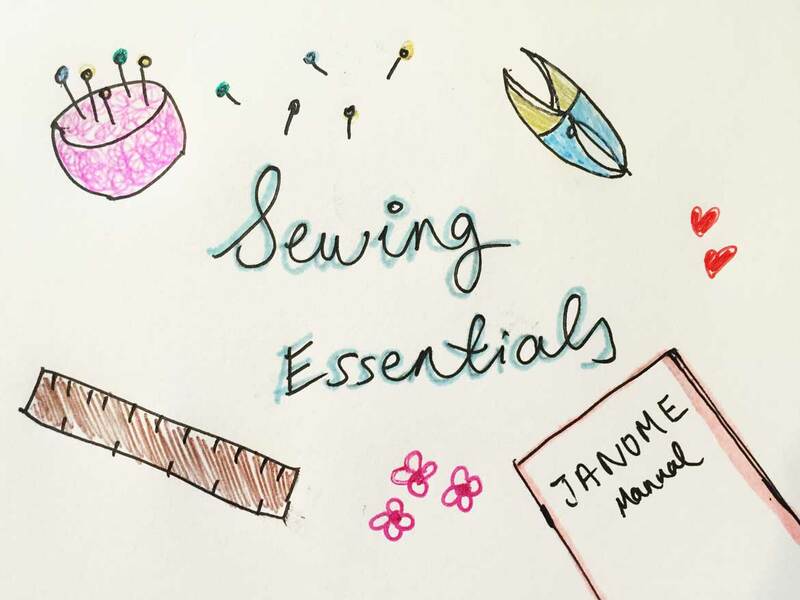 You can save yourself the hassle of re-threading your sewing machine by sewing similar coloured items in the same session. If I’m using blue thread for example, I try to think of all my other projects which also require blue thread. It could be as simple as hemming Dave’s jeans while I make a blue burp cloth. I’d love to know what you do, to make sewing a priority. Please share your time saving tricks with other readers, I’m sure they’d love to know too! 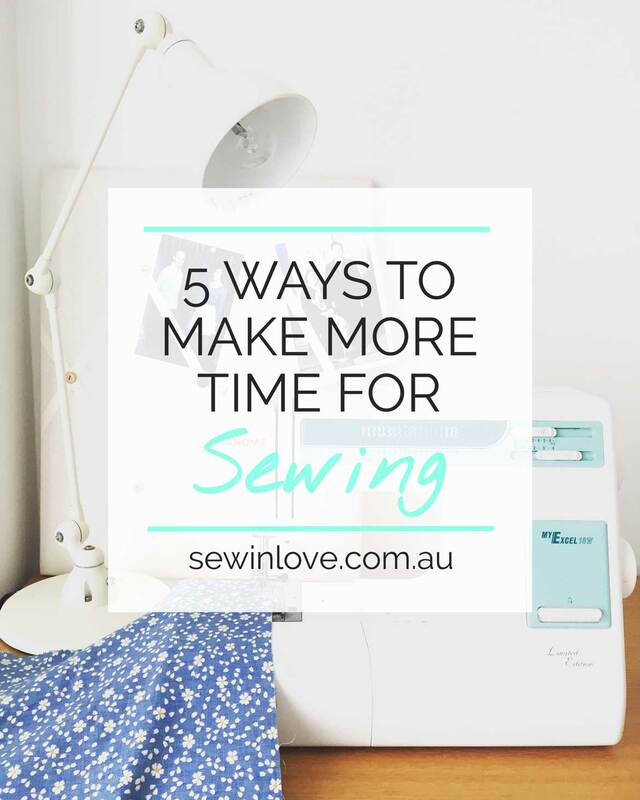 How do you make time for sewing? Let me know in the comments below! Thank you for your advices. I haven’t find yet the best way to make time for sewing : kids are at school (the younguest is 5) but I work for home (I am computer self-training) so I always to do as much as possible (those moocs are great as you can hop in anytime but they have deadlines). So far, what works better was to set up an appointment with myself : a 2-hour window once a week. I will definitely apply your fantastic idea : “set up now, sew later”. I found out recently that you can divide a sewing projects into chunks : use your serger on your newly bought fabric, wash the fabric, iron the fabric, copy your pattern on paper (or cover-plastic for books), find the best thread. Then I use those 6 liter-ziplock blue bag from ikea to store all the elements of a sewing project (except maybe for the fabric that I folded on a hanger in my closet). It’s a new experiment that I started so I am not sure it will work great. I like your idea of doing the chores when baby is awake. That is exactly what I have been doing for the last 10 years and still do. I push away the chores (except the laundry) for when my kids are back from school and showering for example (they do homework at school). Thank you Rin for your ideas and tips, I love your blog ☺️. Love the idea of making an appointment with yourself. I think I will start doing that and block out time on my Google calendar for once Umi goes to bed at night. 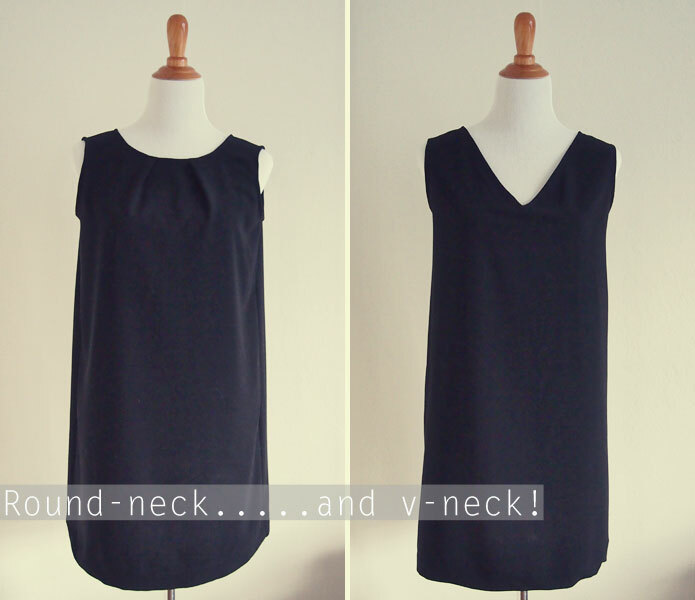 I’m curious to know how you get on with the “dividing a sewing project into chunks” idea! Oh and I must be on to a good thing if you’ve been doing chores while your kids are around for 10 years 🙂 It’s definitely been working well for me. Today for example, I vacuumed the living room while Umi was awake and she was amused but a bit scared of the vacuum cleaner, haha. I really loved this blog. You do what I do but pleased you are sharing for younger sewers. I am very organised and plan my sewing and colours all the time. My daughter will pop in and want to use a different colour, I will do it for her but it irks me because I was already set up for my next project. Keep up the good work. You are making a difference and I enjoy receiving your emails. Uni is a lucky bub having a mum that talks to her and involves her. It will only pay off well for you. Good sewer, pattern maker and mum. Hi Sue! Thank you so much, your comments have made my day! Good ideas! Some of these I am doing already, like sewing by color, ordering fabric online. I try to keep a step-by-step list for my unfinished projects so if I have a only a few minutes I can wind bobbins, mark buttonholes, etc. I also set a timer for sewing, computer work/browsing and some of my chores. It seems when I’m on a time limit, I’m more focused and productive. I’m working toward at least 30 minutes of sewing every day instead of marathon sessions late at night–which don’t always end well (lol). Hi Robin 🙂 30 minute sessions sound like a good idea. I do that sometimes with cleaning (not 30 minutes though, more like 10 minutes because I hate cleaning). I say to myself that it’s only 10 minutes, so I do a pretty good job of tidying up in that time. Haha, I totally understand those late night sessions! I find that if I take that extra time to baste fabric, or iron something neatly, it saves me time in the future. I learned this the hard way after spending many years throwing my sewing projects across the room out of frustration! Before we moved back to Australia 6 months ago, we lived in a teeny tiny studio in San Francisco. I used to have to do my sewing on the kitchen table too. It was a tiny thing that only seated two people. On weekends, my husband would be baking bread and need to use the kitchen table to knead, so I was always putting my sewing machine away while he made bread. The table would then be covered in flour – not ideal when you’re dealing with fabric! 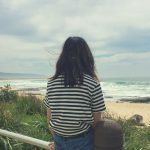 I’m a full-time Etsy seller and sewing instructor from Singapore. To make time for sewing, I arrange all sewing workshops in the morning, so I can be home after lunch to work on customer’s orders and personal projects. That gives me a good 3 hours daily before kids return home from school. I try my best to keep to a daily schedule such as workshops, household chores, preparation for projects and actual sewing. For example, I’ll do my cutting for projects at night after the kids go to bed, so I could sew straightaway the next afternoon. We all know cutting can be quite a chore, so it helps if I could make preparations the night before. I was just cutting last night after Umi went to bed, and yes cutting is such a chore! I like the idea of a daily schedule, especially when you have customers’ orders to do. 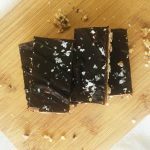 Thanks so much for sharing your tips Vivien! That’s some good advice. I’ll try to apply some of it. I already buy my fabric in a bulk to save time. Greetings from Berlin! 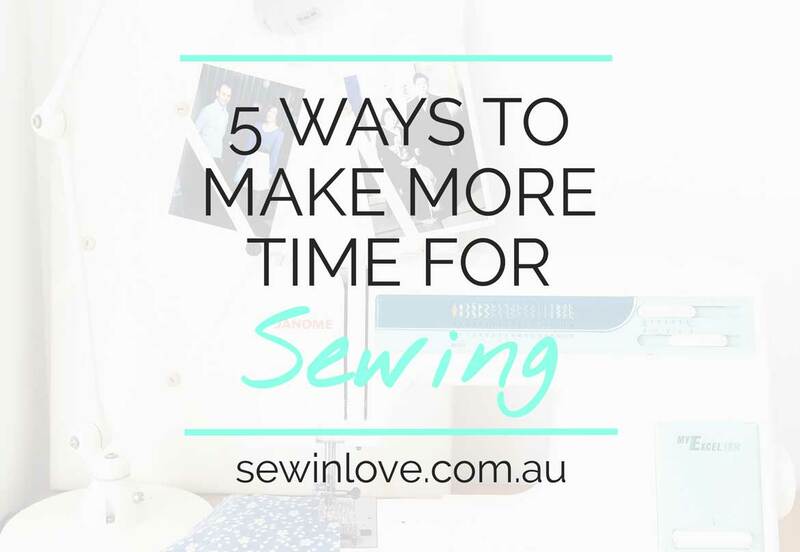 I hope this helps you make more time for sewing! These are wonderful tips, thanks Rin! Glad it’s not just me who’s up until late finishing sewing projects on a deadline, haha. I am actually frantically crocheting a beanie for my Dad’s birthday at the moment. It’s a few days away so I better hurry! I really enjoy your ideas and your personal touch. Can you help me understand when you say that you order or buy bolts of fabric. Will you use that same fabric for several projects or do you order for one project? How much fabric is in those bolts. I am now getting back into sewing. So I am gradually working myself up. Thanks! I buy bulks of fabric, not bolts. I try to think about multiple things I can make from one fabric. If I go to a fabric store, I have to carry the bolts of fabric to the cutting counter.